Sofía Zambrano is a Colombian psychologist and a Palliative Care Research Officer in Medicine at the University of Adelaide, Australia. After completing her psychology degree, she undertook postgraduate studies in Psychooncology, and Medical and Health Psychology in Colombia. She has also taken short courses on Art-therapy in Colombia, and Narrative Therapy in Australia. She completed a Masters degree in Grief and Palliative Care Counselling at the University of Adelaide, Australia, and has recently finished her PhD at the same institution. Her thesis was awarded with a Dean's Commendation for Doctoral Thesis Excellence. Sofia's research interests lie predominantly in the psychological implications of end-of-life care. Specifically, in the impact that death of an individual and the process of dying have on health care professionals, patients, families and on society as a whole. She is also interested in palliative care, grief, and bereavement counselling. 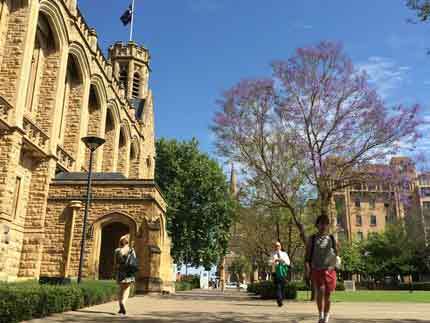 Sofía has had teaching and tutoring experience at the University of Adelaide. IAHPC (International Association for Hospice and Palliative Care) Travelling Scholarship to attend the 18th International Congress on Palliative Care in Montreal. 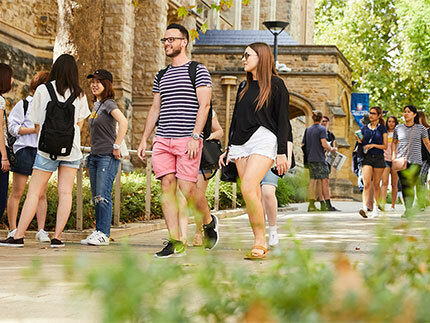 Adelaide Scholarship International (ASI) for postgraduate research education. 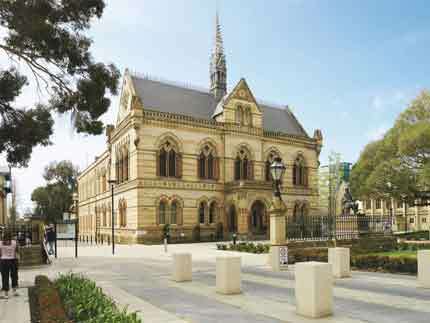 The University of Adelaide, Australia. Fifth Best National Result on Psychology ECAES (Higher Education Quality Examinations). Colombia. Sofia's research interests lie in the psychological implications of end-of-life care. The impact that death and dying have on health care professionals, patients, families, and on society. She completed a Master’s degree in Grief and Palliative Care Counselling studying General Practitioners’ experiences with death and dying. 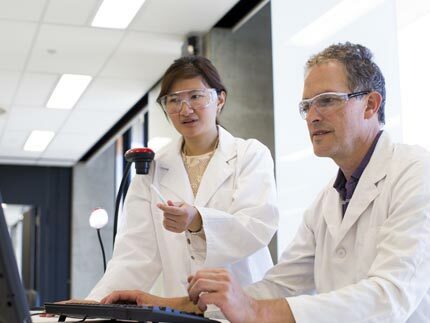 At present, her research is expanding the understanding of these experiences to other medical specialities. Sofía is also interested and has had experience in palliative care, grief, and bereavement counselling in hospice and hospital settings, both in Colombia and Australia. Zambrano, S.C.;, Chur-Hansen, A. & Crawford, G.B. (2013). The experiences, coping mechanisms and impact of death and dying on palliative medicine specialists. Palliative & Supportive Care, Online First Sofia C Zambrano, Anna Chur-Hansen and Gregory B Crawford. The experiences, coping mechanisms and impact of death and dying on palliative medicine specialists. Palliative and Supportive Care, doi:10.1017/S1478951513000138. Zambrano, S.C.; Chur-Hansen, A.; Crawford, G.B. (2012) On the emotional connection of medical specialists dealing with death and dying: A qualitative study of oncologists, surgeons, intensive care specialists, and palliative medicine specialists. BMJ Supportive and Palliative Care; 2, 270-275. Zambrano, S.C.; Barton, C. (2011) On the Journey with the Dying: How General Practitioners Experience the Death of their Patients. Death Studies, 35 (9), 824-851. Moyano, J.; Zambrano, S.C., (2011) The influence of information leaflets on morphine consumption in postoperative patients using patient-controlled analgesia. Journal of Pain and Palliative Care Pharmacotherapy, 25, 335-339. Moyano, J.; Zambrano, S.C.; Mayungo, T. (2010) Characteristics of the last treatment provided to terminal patients at an acute care hospital. American Journal of Hospice and Palliative Care, 27(6):402-406. Epub 2010 - Apr 1. Moyano, J.; Zambrano, S.C. (2008) Why dying at home indicates unmet needs in Colombia? European Journal of Palliative Care, 15, 138-41. Moyano, J.R; Zambrano, S.C.; Ceballos, C; Santacruz, C.M. & Guerrero, C. (2008) Palliative Sedation in Latin America: survey Practices and attitudes. Supportive Care in Cancer, 16, 5: 431-435. Moyano, J.R; Guerrero, C. & Zambrano, S.C. (2007) Evaluation on Information on Palliative Care from the Perspective of the Family: our experience at an Acute Care University Hospital. European Journal of Palliative Care, 14, 117-119. Moyano, J.R.; Mayungo, T & Zambrano, S.C. (2007) Critical Decisions in Anaesthesiology. Revista Colombiana de Anestesia, 35, 4, 317-318. Moyano, J.R; Guerrero, C.; Zambrano, S.C. & Hernández A. (2006) Anaesthesiology and Palliative Sedation: Pertinence, Ethical and Clinical Aspects. Revista Colombiana de Anestesia, 34, 3, 202-204. Medical specialists caring for the dying: an insight into their experiences and attitudes towards death and dying (Zambrano, S.C., Chur-Hansen, A. & Crawford, G.B.) Joint meeting of International PsychoOncology Society 14th World Congress, and Clinical Oncological Society of Australia 39th Annual Scientific Meeting., November 2012, Brisbane, Australia. On the emotional connection of medical specialists dealing with death and dying (Zambrano, S.C., Chur-Hansen, A. & Crawford, G.B.) Joint meeting of International PsychoOncology Society 14th World Congress, and Clinical Oncological Society of Australia 39th Annual Scientific Meeting. November 2012, Brisbane, Australia. What can we learn about the way that medical specialists deal with death and dying in a palliative care context? (Zambrano, S.C.; Chur-Hansen, A. & Crawford, G.B. )11th Australian Palliative Care Conference, September 2011. Cairns, Australia. On the Journey with the Dying: How General Practitioners experience the death of their patients (Zambrano, S.C.; Barton, C.) 18th International Congress in Palliative Care, October 5-8, 2010. Montreal – Canada. On the Journey with the Dying: How General Practitioners experience the death of their patients (Zambrano, S.C.; Barton, C.) International Primary Palliative Care Research Group Meeting. Pre-conference program of teaching and reflection on palliative care research, and consideration of the issues around palliative care in resource-poor countries. 13-14 September 2010. Cape Town, South Africa. Design of psychological experiments on the Internet. Third Meeting of Behavioural Sciences Researchers (III Encuentro de Investigadores de Ciencias del Comportamiento). Universidad Nacional de Colombia-Universidad de los Andes. 2003. Bogotá, Colombia. Zambrano, S.C.; Chur-Hansen, A. & Crawford, G.B. What can we learn about the way that medical specialists deal with death and dying in a palliative care context? 11th Australian Palliative Care Conference, September 2011. Cairns, Australia. Zambrano S.C, Chur-Hansen, A, Crawford, GB. What can we learn from oncologists’ experiences with death and dying? Recommendations for improvement of medical training and practice. Multinational Association for Supportive Care in Cancer Conference, Athens, Greece 23 – 25 June 2011. Moyano, J.R.; Zambrano, S.C.; Mayungo, T. (2008) Characteristics of care in an acute care hospital during the last hospitalization of terminally-ill patients. IV Encuentro de Investigadores Fundación Santafe de Bogotá. November 2008, Bogotá, Colombia. Second prize winner. Moyano, J.R; Guerrero, C.; Ceballos, C. & Zambrano, S.C. (2006) End-of-life care. Information and Satisfaction from a family perspective. 3rd Latinamerican Congress of Palliative Care (III Congreso Latinoamericano de Cuidados Paliativos). Marzo de 2006. Isla Margarita, Venezuela. ANZAHPE. (Former ANZAME) Australian and New Zealand Association for Health. IAHPC. International Association of Hospice and Palliative Care. ACCP. Colombian Association of Pain and Palliative Care.